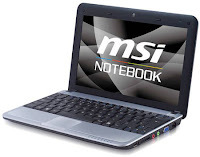 MSI brings Hybrid "wind" with HDD and SSD | Its Madh !!! MSI has worked with the Wind U115 hybrid with a new Intel atom processor with 1.6 GHz , which is available both on HDD as well as on SSD's. When the "Eco" Mode is active in this laptop, the hard disk can be temporarily stopped and the SSD will turn on. When it deactivates, it will turn into normal HDD. SSD requires less energy and gives amazing transfer speed. For example, if Eco Mode is turned on, the battery life will be appx 12 hours whereas when it is running in normal HDD , it may be about 2 Hours !!. ( 6 Cell Battery). Price is not yet Fixed.